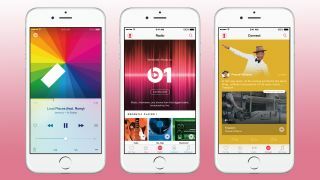 With its streaming music service MOG closing down on August 31, Telstra has aligned with Apple Music to fill the silence left in its void. More than just a straight switcheroo, Telstra is giving eligible post-paid mobile customers a new add-on to their accounts that provides a 12 month subscription to the service, absolutely free. If you’re a Telstra Mobile customer and your ears just perked up the mention of a year’s worth of free music, you should login to your My Account page, select your mobile, go to the Add-ons section and add the complimentary Apple Music 12 Month Offer to your account. Once the year is up, a regular monthly Apple Music subscription fee will be automatically added to your Telstra phone bill. If you’ve already got an existing Apple Music subscription, you should cancel it before accepting the Telstra offer, or else you may find your iTunes account will keep getting charged by Apple.